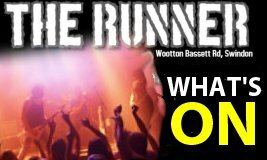 Standing right next to the main westward road out of the centre of Swindon, The Runner captures a huge passing trade, with business people and visitors mixing with locals, especially those from nearby Rushy Platt. 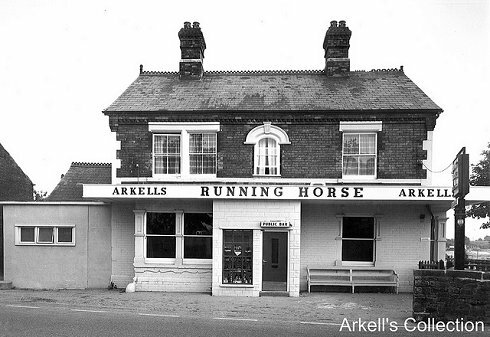 Totally refurbished in 2013 - and the name shortened from The Running Horse - the atmosphere is always of a busy pub serving food and drink throughout the day. In summer and weather permitting, the garden and play area at The Running is ideal for families or just those who want to enjoy a pint in the open air. 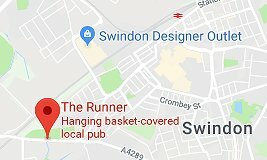 There has probably been an inn on the site of The Runner since early in the 18th century, but the current building is relatively young - only 110 years old! A brilliant event the whole family will enjoy - held on the River Ray opposite the pub on the Bank Holiday Monday at the end of May every 2 years. Next one in 2019!